Each year, your heating and cooling system can lose as much as 25 to 40 percent of its energy efficiency because of dirt and other build-up inside of your air ducts. When dirt, mold, and other airborne contaminants collect in your air ducts, it can cause problems for friends, family, and guests in your home who have breathing conditions such as asthma, allergies, COPD, and other breathing disorders. 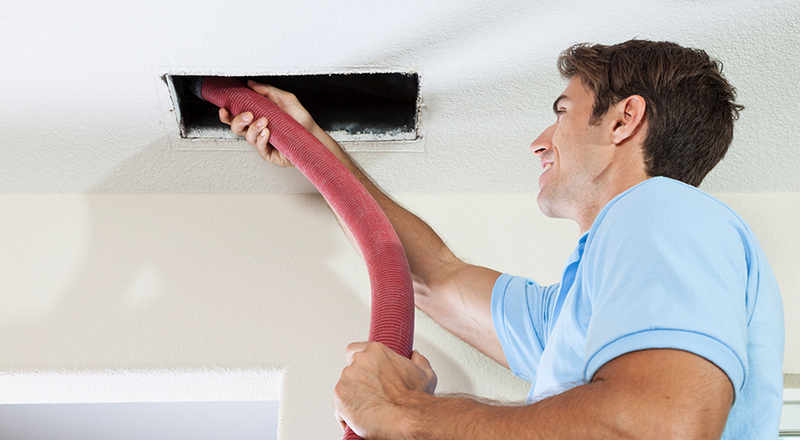 To avoid these issues, cleaning your air ducts is crucial. Howard Services Air Conditioning offers professional air duct cleaning services to Jacksonville and the surrounding area to help keep your air flowing and your family breathing well. We recommend getting your air ducts cleaned every three to five years to reduce mold, eliminate odors, and improve the general quality of your home’s air. Additionally, you can expect a better running system which will help with energy output and cooling costs. If you’d like our professional team of air duct cleaners to visit your home and improve your air quality and air flow, then call us today or fill out a form online. We’ll have you breathing easier and enjoying a more efficient running HVAC system in no time.